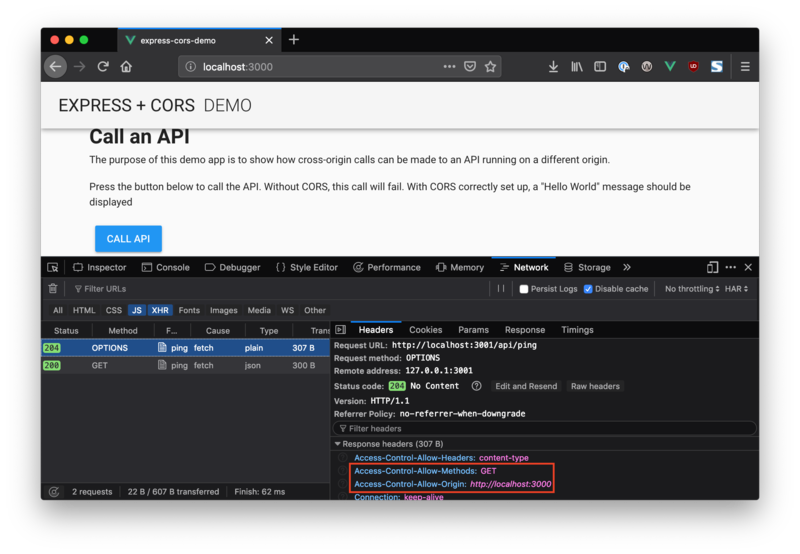 TL;DR: In this article, we'll take a look at CORS, the circumstances under which it is needed, the benefits it provides, and how to configure a Node + Express application to support CORS. If you wish, you can grab the accompanying source code from GitHub! But why is this necessary, and how does it work? 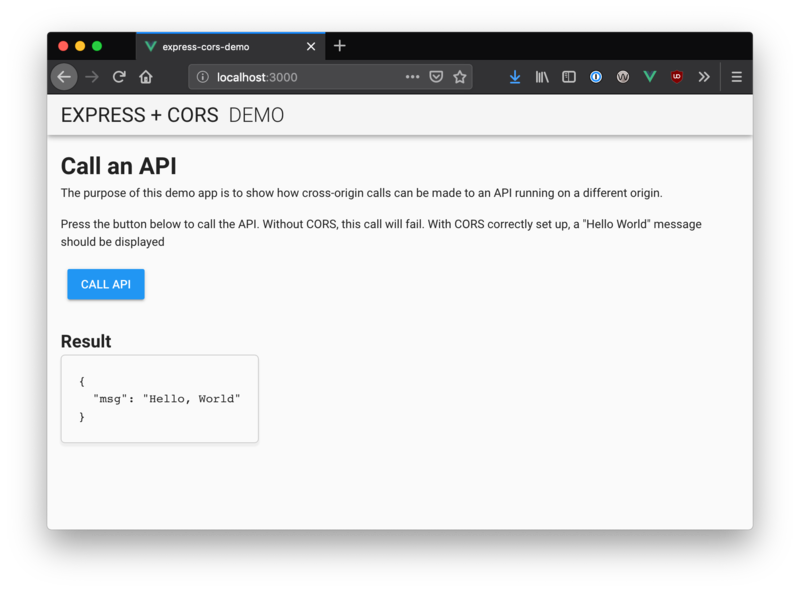 "Learn all about CORS, the difference between simple and preflighted requests, and how to add CORS support to an existing Node Express app!" CORS - Why Is It Needed? However, there are legitimate scenarios where cross-origin access is desirable or even necessary. For example, if you're running a React SPA that makes calls to an API backend running on a different domain. Web fonts also rely on CORS to work. When a server has been configured correctly to allow cross-origin resource sharing, some special headers will be included. Their presence can be used to determine that a request supports CORS. Web browsers can use these headers to determine whether or not an XMLHttpRequest call should continue or fail. 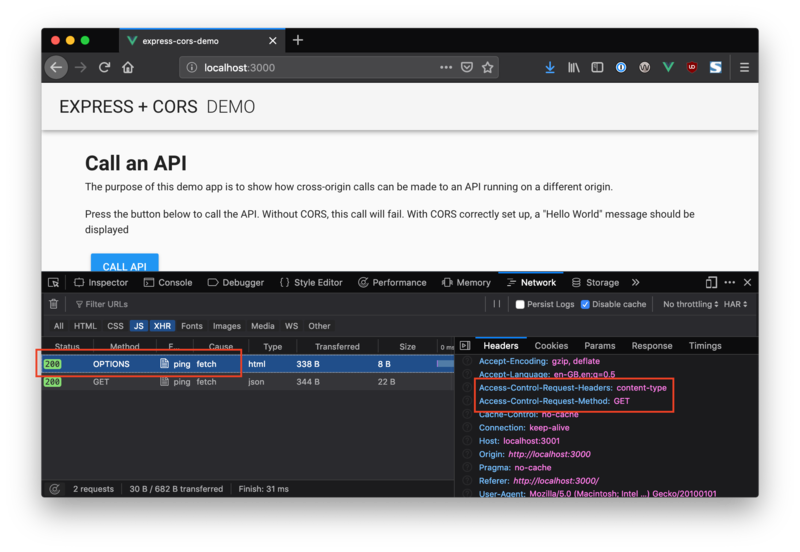 There are two types of CORS request: "simple" requests, and "preflight" requests, and it's the browser that determines which is used. As the developer, you don't normally need to care about this when you are constructing requests to be sent to a server. However, you may see the different types of requests appear in your network log and, since it may have a performance impact on your application, it may benefit you to know why and when these requests are sent. Let's have a look at what that means in more detail in the next couple of sections. The request is allowed to continue as normal if it meets these criteria, and the Access-Control-Allow-Origin header is checked when the response is returned. If a request does not meet the criteria for a simple request, the browser will instead make an automatic preflight request using the OPTIONS method. 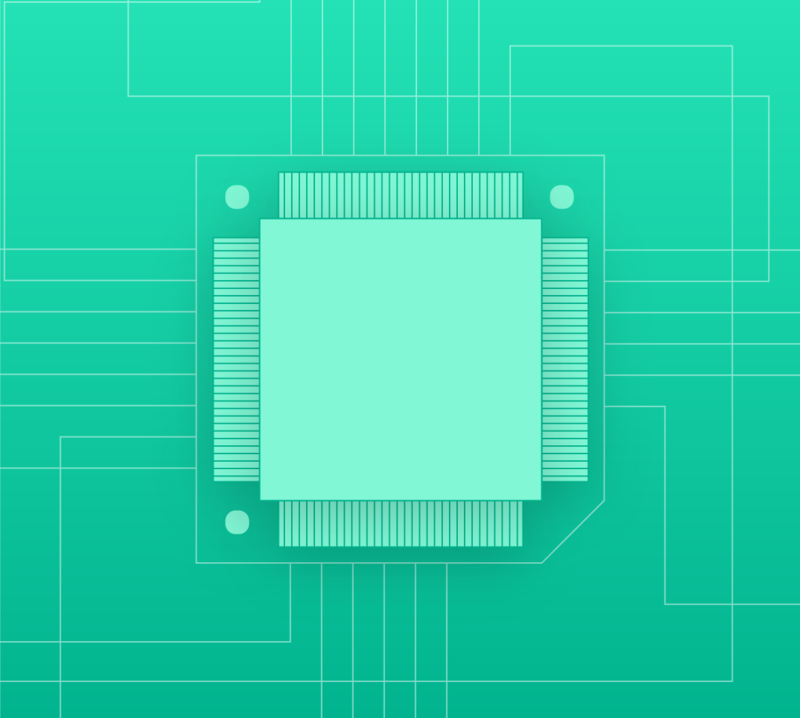 This call is used to determine the exact CORS capabilities of the server, which is in turn used to determine whether or not the intended CORS protocol is understood. If the result of the OPTIONS call dictates that the request cannot be made, the actual request to the server will not be executed. This request basically says "I would like to make a GET request with the Content-Type and Accept headers from http://localhost:3000 - is that possible?". The response would then be examined by the browser to decide whether to continue with the request or to abandon it. The Access-Control-Allow-Origin header, in this case, allows the request to be made from any origin, while the Access-Control-Allow-Methods header describes only the accepted HTTP methods. If a given HTTP method is not accepted, it will not appear in this list. In this example, Access-Control-Allow-Headers echos back the headers that were asked for in the OPTIONS request. This indicates that all the requested headers are allowed to be sent. If for example, the server doesn't allow the Accept header, then that header would be omitted from the response and the browser would reject the call. Now open the website at http://localhost:3000 and click the Call API button. You should find that the call will fail. This is because a request is being made to the API at http://localhost:3001/api/ping which, thanks to the different port number, makes it a different origin from where the web application is running. Therefore, it constitutes a cross-origin request and is blocked by the browser by default. Note: The call using curl works just fine, as CORS only affects XMLHttpRequest calls in the browser. Notice that some custom middleware is added before the /api/ping endpoint is defined. The code to add these headers has been taken from enable-cors.org. Here you can see the headers have been added correctly. Now open the web application again and click the Call API button; this time the call should work! The request made by clicking the Call API button meets the criteria for being a simple request, so no preflight is needed. You can force one by modifying the call so that its effect on the network is more visible. Open the src/components/CallAPI.vue file and modify the callApi() function so that it sends a Content-Type: application/json header. This is because a content type of application/json is not within the criteria for a simple request, as explained earlier. Instead of manually specifying the headers, there is a CORS Express middleware package that can be used instead. Once these changes are made, the application should automatically restart. If it doesn't, use Ctrl+C to stop the application and then run npm run dev once more. Open http://localhost:3000 once again and click the Call API. Note that the application still works as intended! The CORS middleware can be configured to accept only specific origins and headers. It's a good idea for security reasons to be restrictive by default. Notice that the OPTIONS request has returned the more restrictive values that you specified. This still allows the sample application to work, but calls from scripts running on other origins would be denied. You can have a look at the other cors configuration options on the GitHub page. "I learned how to take an existing Node Express app and add CORS support to it!" In this article you learned about CORS, what the different headers mean and the differences between simple and preflight requests. You then altered a broken Node + Express application so that it accepted cross-origin requests, and could successfully make API calls to a backend running on a different origin.